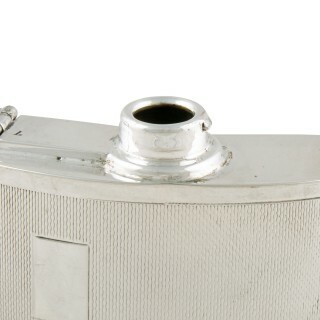 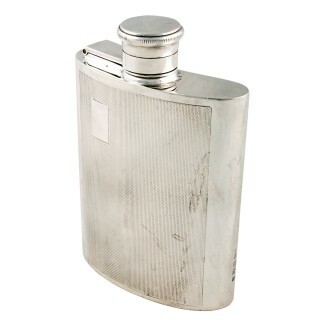 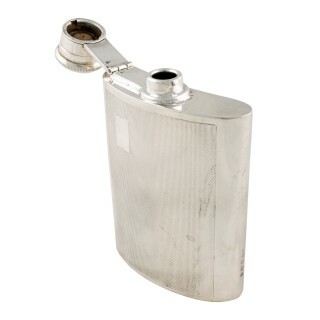 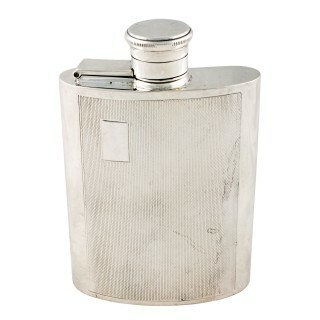 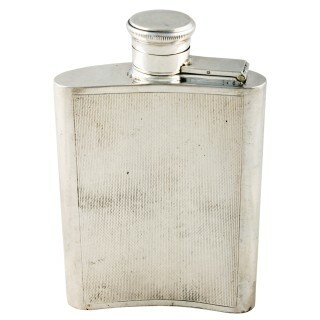 A late 20th century sterling silver hip flask. 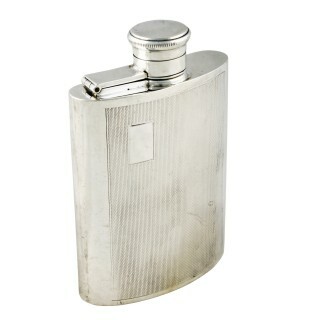 The flask has an engine turned decorated body and a twist to release top that hinges to the side to allow drinking. 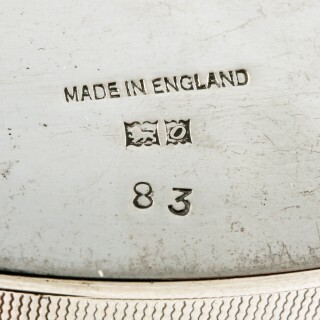 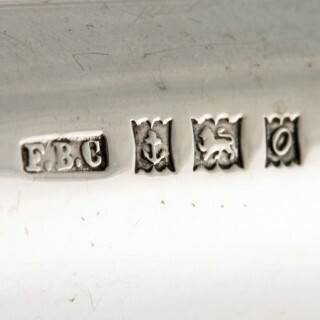 The underside of the flask is stamped ‘Made in England and has silver hall marks for Birmingham, the year 1963 and the maker’s mark for ‘F Burton Crosbee’.